Will be decommissioned any time soon? And purely be a part of Facebook or mailing lists only? I been going through my old favorites list, many boards are gone now, Elton John(just found out about the EJ one! http://www.eltonjohn.com/interact/ )Thunder, and Evanescence boards to name 3, to move the discussions/news etc to be on Facebook, I am wondering if that will happen here any time soon. It's all over, so no real loss if it goes. It's the same old topics, the same old people...it's finished. I wouldn't be at all surprised if QPL start doing things on Facebook or Twitter, and simply don't bother pull the plug on QOL until the traffic is so low (like now? ) and don't bother even announcing it. The day will come soon when we type in the url for here, and get the dreaded 404 error message of doom. Forums are such dated things anyway. Cutting and pasting posts from yesteryear just to back up some point has always reeked of desperation to me anyway. Starship Trooper wrote: I wouldn't be at all surprised if QPL start doing things on Facebook or Twitter, and simply don't bother pull the plug on QOL until the traffic is so low (like now? ) and don't bother even announcing it. The day will come soon when we type in the url for here, and get the dreaded 404 error message of doom. I hope QPL or the powers that be will let us know before. I'll miss the board and more importantly it's posters, then again, I wouldn't bother so much if I had everyone I wanted to keep in touch with on my email and Facebook contacts. icy wrote: Will be decommissioned any time soon? And purely be a part of Facebook or mailing lists only? I have no facebook or twitter. I shall miss this board when it's going down. I'd rather have this board than the Facebook page any day. Too much scams/spams all around crap on many pages.No joke the only band pages I really get involved with are the Thunder/Danny and Ben ones...maybe because it seems the band intercts with their fans. Brian and Roger do not, even though Brian has his soapbox/Twitter, I'll miss the discussions here and more importantly the people I'm used to discussing things with. QOL has always been more than just about Queen to me. I've just never really got into Facebook or twitter. Too invasive, and too much of a playground for people telling you things like they've just done their nails, for my liking. 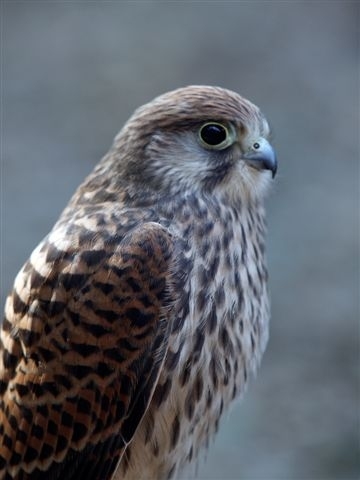 Kes wrote: I've just never really got into Facebook or twitter. Funnily enough, I've just done my nails and I can tell you about it on here! In fact, I just did. Pfft, where is Loretta when you need him. Now that is nails I'd like to see! Talking about fingernails, and not toenails aren't we ? Loretta's aren't as fine as mine. Have you tried that 'No More Nails' stuff from B&Q? They call it that for a reason, and I think it has little to do with it's ability to stick plasterboard panels together. I've only just joined this board - I don't wanna lose it!